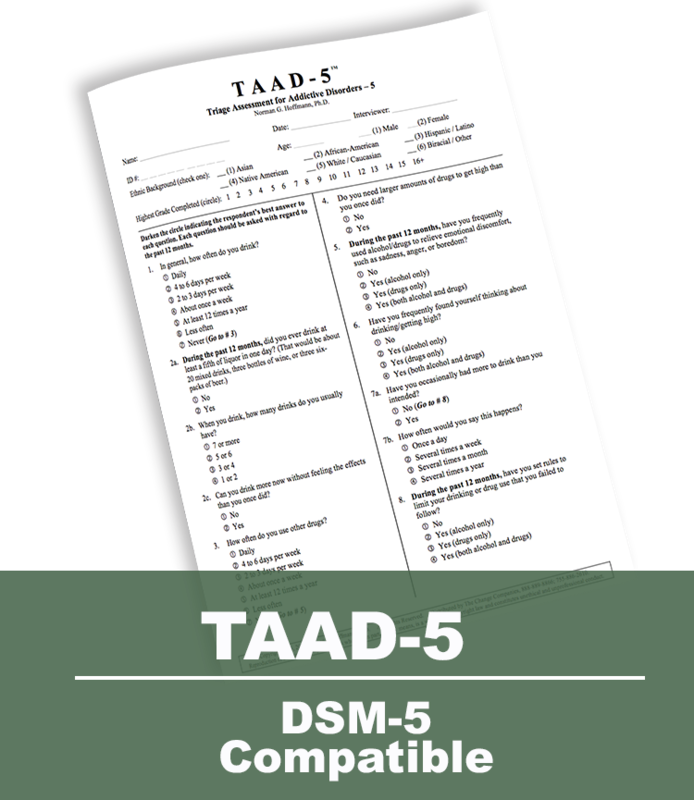 The TAAD-5 is a brief structured interview designed to identify current alcohol and drug problems. 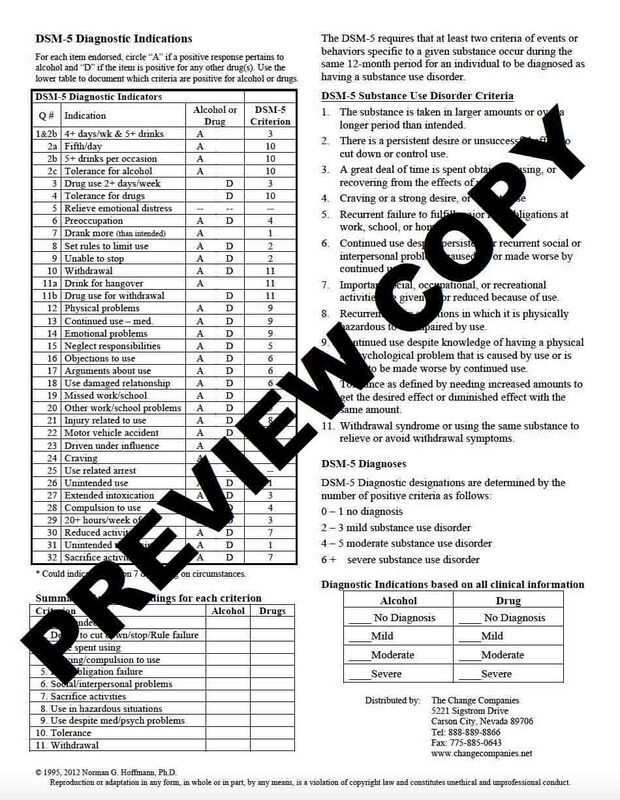 This 10-minute assessment tool covers all DSM-5 criteria for substance use disorders. It offers high internal reliability. 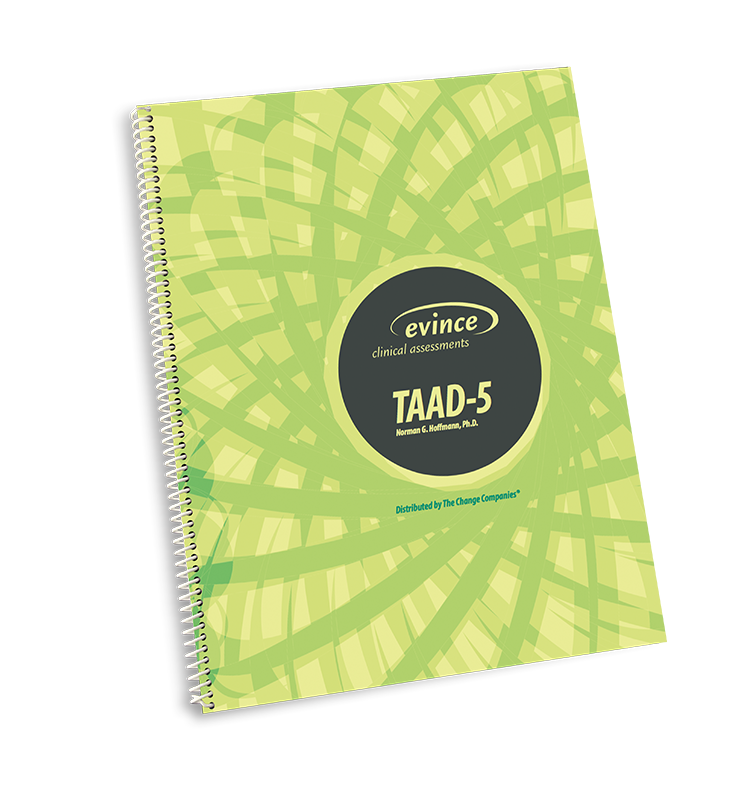 The TAAD-5 produces alcohol and drug use disorders profiles similar to those of more time intensive instruments. A technician or paraprofessional can administer the TAAD-5 for interpretation by a qualified professional. A scoring summary is incorporated into each instrument and can be completed in 2-3 minutes. Any situation requiring fast, initial discrimination between a likely substance use disorder or no diagnosis. Ideal for preliminary triage to determine if a treatment referral or intake assessment is indicated. a quick initial assessment of DUI/DWI offenders. initial EAP assessments, mental health clinics, primary care settings or emergency rooms. initial field assessments by child protection, welfare workers or other social service providers. 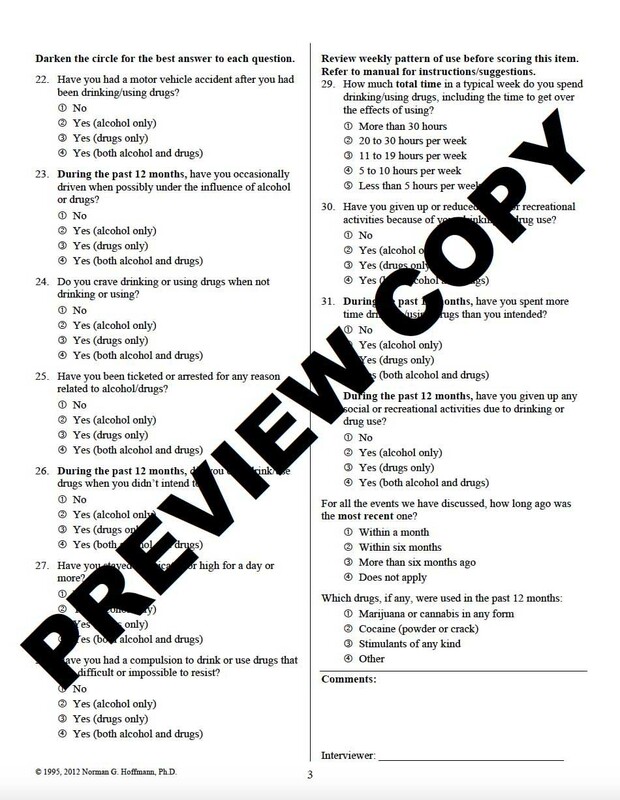 Offers a quick assessment of current substance use disorder criteria. Provides support for substance use disorder diagnoses in minutes. Documents negative findings for those individuals who do not see problems.